Length Inductive Test Equipment (LITE) evaluates the length of existing steel piles (Steel Sheet Piles, H-piles, Pipe piles, Cased Drilled Shafts, and highly reinforced Drilled Shafts) using the inductive field method. The assessment of the unknown depth of existing foundations is key for their reuse or when unexpected settlement or scour raise concerns about bearing capacity. The LITE is a tool the Foundation Testing Engineer should consider using for length determination of steel piles. 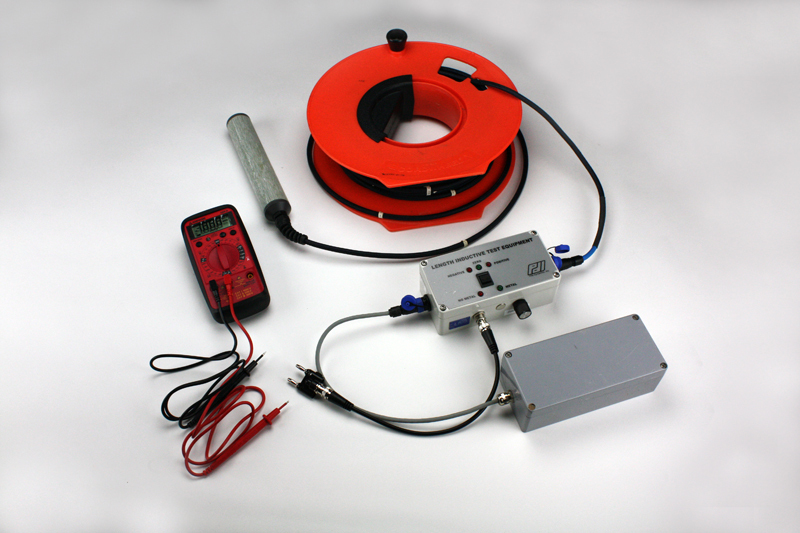 If there is no metal in its range of detection the LITE LED indicates “NO METAL.” The probe cable has evenly spaced markings for simple observation of the pile depth once the “no metal” indicator lights up.